Amanda Hernandez, a 2009-'10 member of the Troopers submitted this photo and caption. My family saves up egg shells for about three months leading up to Easter. The week before Easter, we dye the shells and fill them flour, confetti, and other surprises like mayo and ketchup. On Easter, my sisters and cousins go out in the backyard and smash the eggs on each others' heads. 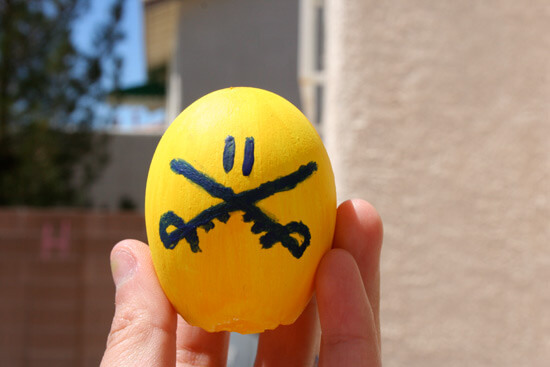 This is a Troopers-themed egg shell from 2009.